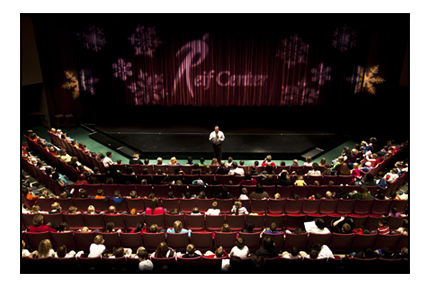 The Reif Center is a state-of-the-art performing arts center located in the heart of Minnesota's North woods. We present 30+ nationally and internationally touring performers each season (Sept.-June) - offering a wide variety of arts from classical pianists to rock and roll tributes, taiko drummers to musical theater, and an engaging children's performing art series. The Reif prides itself on the accessibility, affordability and quality of its programs and facility. There is something for all at the Reif!